Born from an incapable family, it is not a reason not to succeed in the future. This is evidenced by the owner of Susi Air, who now serves as Minister of Maritime Affairs of the Republic of Indonesia, Mrs. Susi Pudjiastuti. Women born in Pangandaran, January 15, 1965 started a business in the fisheries sector, Susi bought fish from the auction site and marketed it to a number of restaurants. The business run by Susi proved to be successful and became one of the successful fish entrepreneurs in Pengandaran. The business success in the field of fisheries turned out to also bring a new problem for Susi. The abundance of lobster and fish stocks is actually hampered by inadequate transportation problems, especially the lack of air transportation. While if sent by land or sea, the quality of lobsters and fish will not be fresh when it reaches the buyer. The obstacle turned out to give a new idea for Susi to buy a plane. Moreover, the husband who works as a charter aircraft pilot from Germany, Christian von Strombeck supports his idea. Although it was hampered by the refusal to apply for a loan to the bank in 2000, finally in 2005 Susi managed to get a loan from the bank of 47 billion. The fund was used by Susi to build an airstrip in Pangandaran and buy 2 Cessna planes. Until now, Susi Air has continued to grow and operate and has more than 45 airline airlines of various types. Susi’s persistence and experience in the field of fisheries made Ir. Joko Widodo as the elected president for the 2014-2019 period finally chose Susi to occupy the position of Minister of Maritime Affairs and Fisheries in the work cabinet. 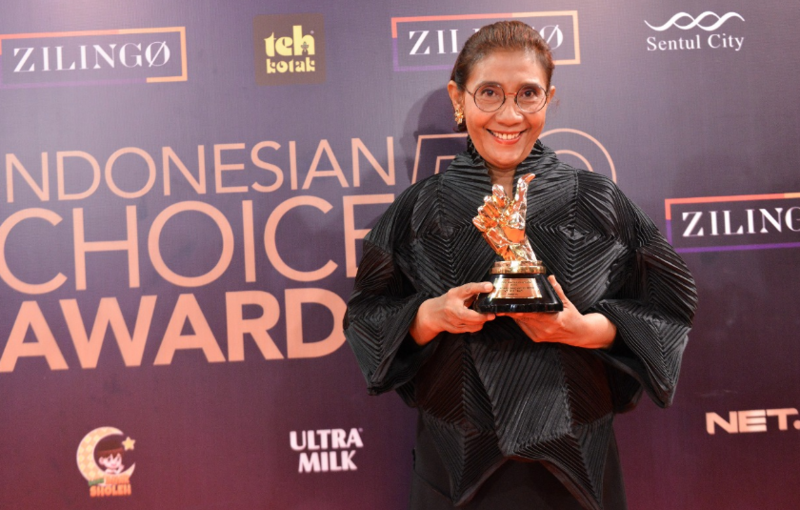 Even the achievements of Susi Pudjiastuti have no doubt served as the Minister of Maritime Affairs and Fisheries, as evidenced by the various policies that have won appreciation from various parties.